Get rid of the middle pickup and I’m all about it. 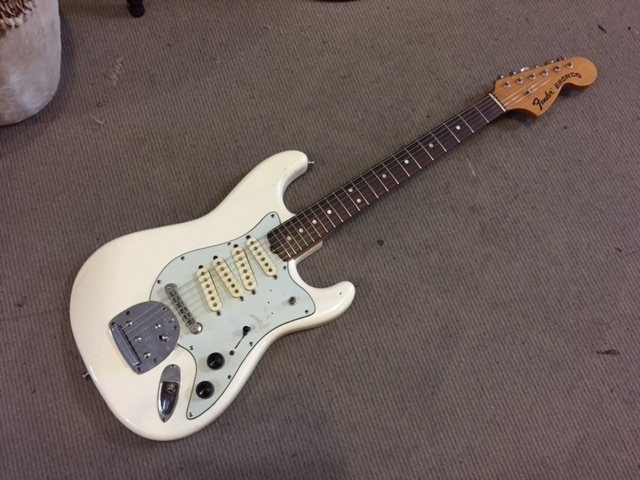 I assume that’s a five-way switch, would that middle/bridge pickup combo sound different to a strat? I imagine putting the pickups that close makes some difference. It needs to have another pickup between the neck and middle though. And more switches. not joking, if there was only one pickup between neck and middle and it was angled like nick said, I would rock that. Well, okay then. I guess I was a bit excessive. Yep, plus the straight bridge pickup, plus more switches. I have not used Paint this much since I was about 14.